The KPI Institute offers a wide range of educational programs designed in a comprehensive manner so as to facilitate the learner’s understanding of how to improve performance at all organizational levels. Our programs are bound to enrich the business culture in your organization and guarantees an outcome that establishes a well-structured working system that you can rely on for existing and future projects. Accelerate your skills development through our educational programs, both face-to-face and online training courses. You can even bring them on-site to your organization, as customized experiences. Choose the method that works best for you! Our certifications have two different levels of expertise: Professional (designed to expand knowledge) and Practitioner (designed to apply knowledge and develop skills). We are also seeking for potential collaborative work with individuals and organizations whose learning mission aligns with ours, and especially owners of training content that belongs to our area of interest, to be delivered under The KPI Institute’s license. Our learning philosophy combines learning transfer with assessment, providing you with insightful content, real-world case studies and interactive exercises. We are proud to provide unique certification training courses, with a rigorous certification process that combines pre-course and after-course components. 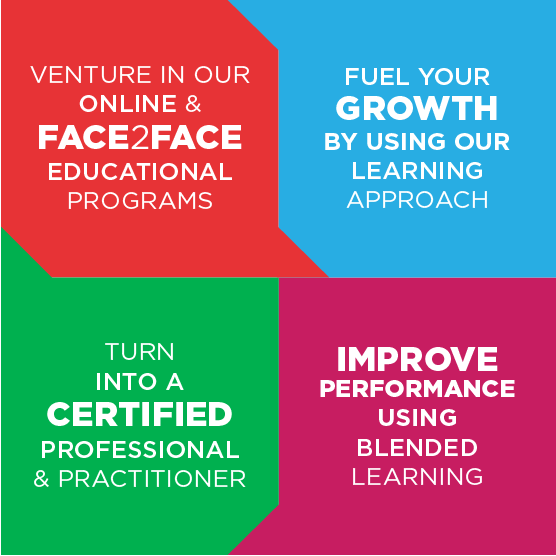 We empower professionals with knowledge and skills in a wide range of specialized courses and business simulations mixing traditional face-to-face learning with online. Enhancing the value of our training courses with comprehensive educational resources, such as factsheets, catalogues and tools you can immediately use on the job. Moreover, we share knowledge, best practices and the latest research in the field through dedicated webinars.